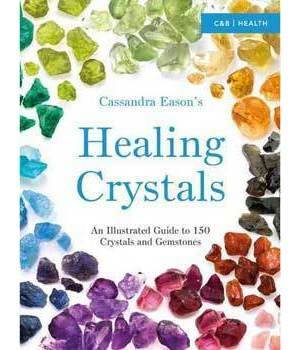 Cassandra Eason's unique directory offers accessible information on more than 150 crystals. Each crystal is explored in detail and set in context with its associated mythology, herbs, oils, incenses and astrological significance. Divided into sections by colour, the book describes methods of crystal healing, colour wisdom, ways of working with chakras and aura, and the basics of crystal divination and magic. Learn how to select crystals that are protective and empowering, and how to use them in the work place, home and with children, plants and animals. You'll also discover how to make the most of crystals in the modern world: for decision-making and for cleansing homes and workplaces of pollution, adverse affects of technology and negative earth energies. This book is not only a comprehensive reference work for beginners and crystal experts alike, it is also an essential workbook, whether you use crystals to bring peace to your home or are a healer looking for new ideas.